Item # RI 11. 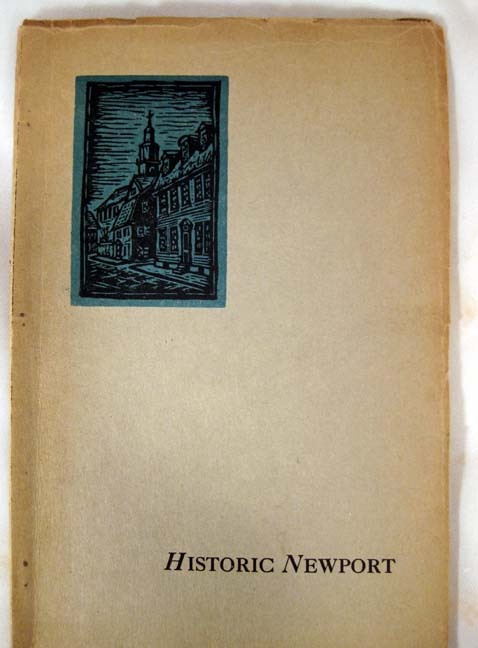 Titled: "Historic Newport" From the personal collection of William King Covell (April 19, 1947). 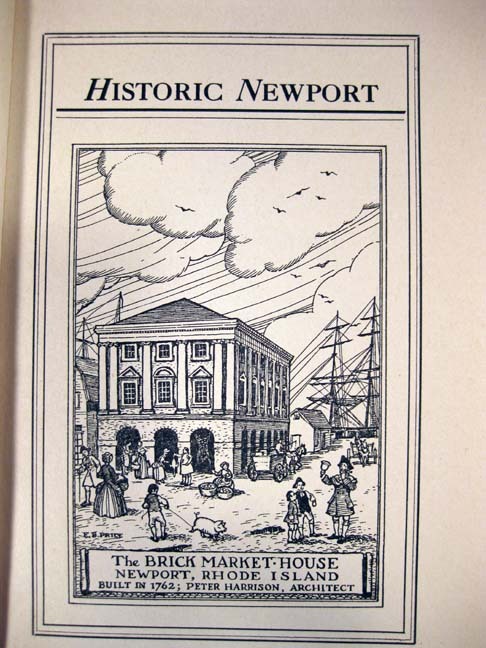 This 45 page pamphlet was produced by the Newport Chamber of Commerce and this third printing was released in 1941. 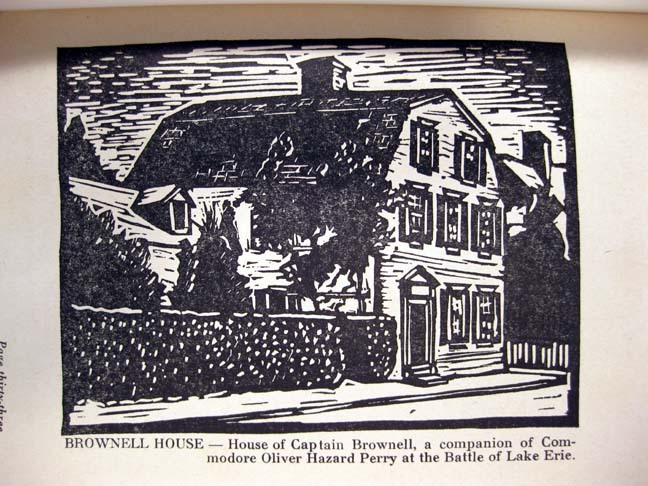 Paper covers; with text, and striking Block Prints by the artist Lloyd A. Robson. 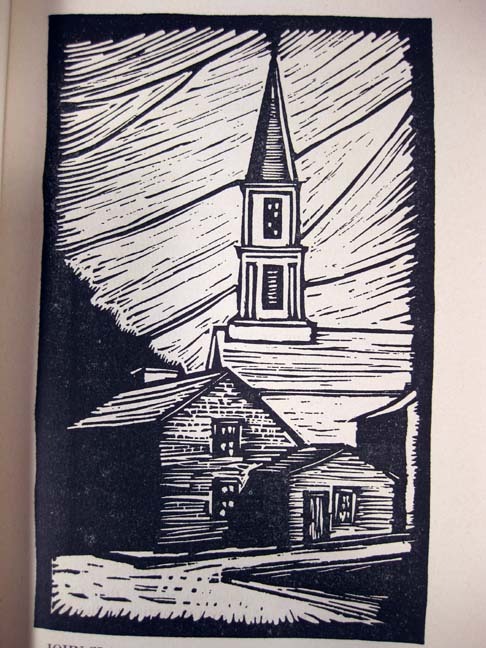 There are a number of full page Block Prints and several pages of photographs of area buildings. Size: a little over 6" x 9". Condition: slight fraying to outer paper covers, pamphlet is intact and usable. Price: $75.00. 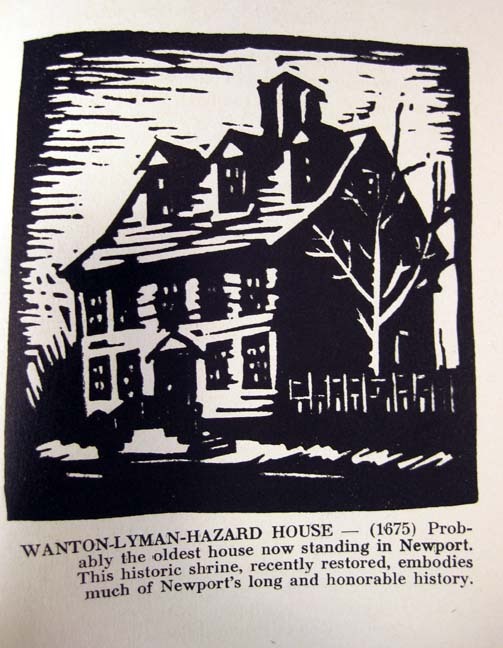 Wanton-Lyman-Hazard House - 1675 Probably the oldest house now standing in Newport. 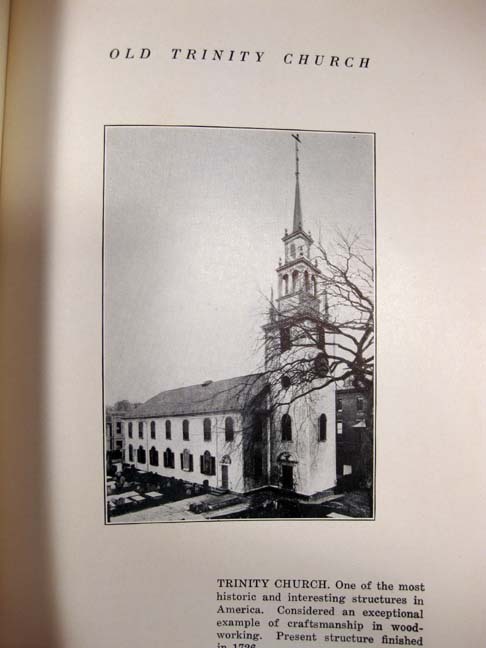 This historic shrine, recently restored, embodies much of Newport's long and honorable history. Open as a house museum by The Newport Historical Society. Bull House 1639. House of Henry Bull, early settler and Governon 1685-86. 1690. Destroyed by bire December 29, 1912. Brownell House - House of Captain Brownell a companion of Commodore Oliver Hazard Perry at the Battly of Lake Erie. Cope and Robinton house - Two of the many interesting Colonial Mansions of old Water Street - The Cope house erected 1751 by Henry Collins and the Robinson House still owned and occupied by descendants of "Quaker Tom." 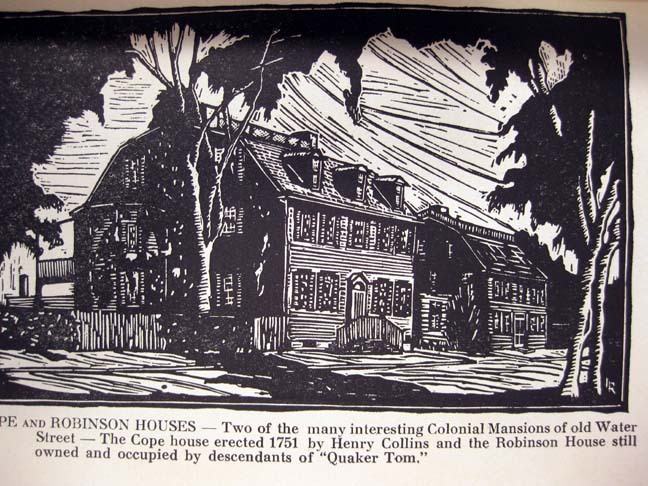 View of Barney and Spring: only the Baptist Church is still standing in this wood cut today. 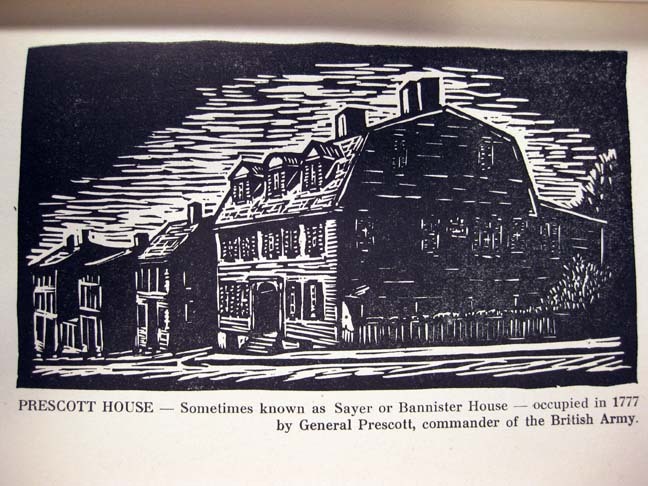 Prescott House - Sometimes knows as SAyer or Bannister House - occupied in 1777 by General Prescott, commander of British Army. Still Standing today. 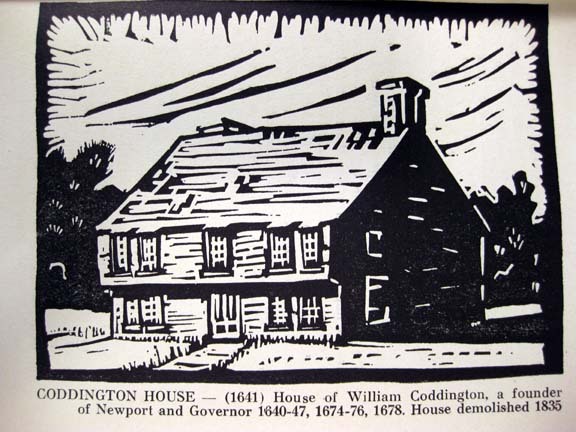 Coddington House - 1641 House of William Coddington, a founder of Newport and bovernon 1640-47, 1674-76, 1678. 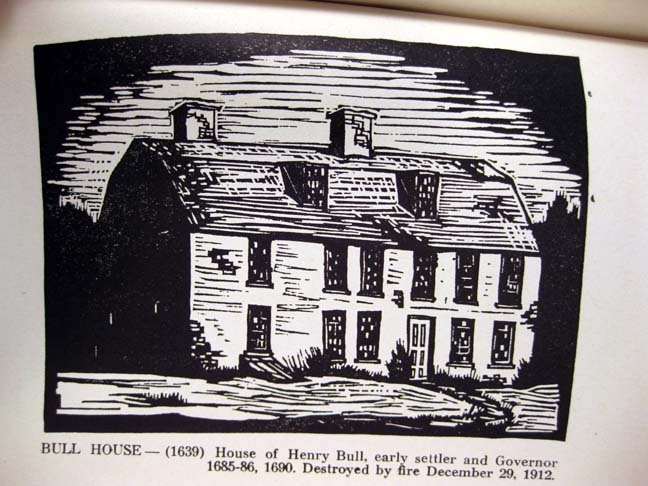 House demolished in 1835. 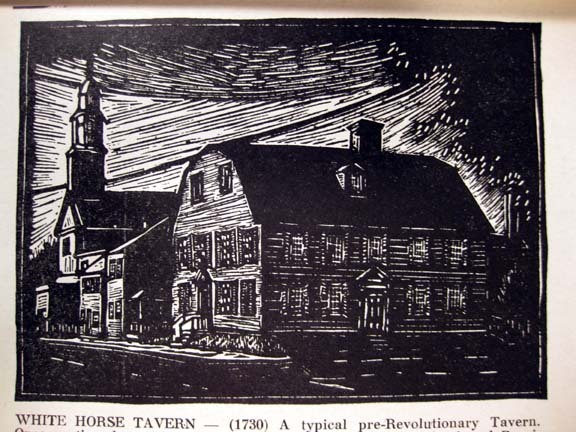 White House Tavern (1730) still standing and the Older continued operating Tavern in the United States today. 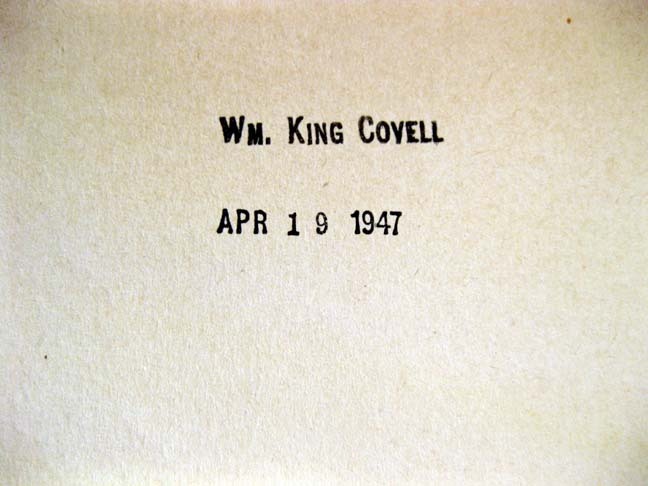 King Covell owned Cover House on Washington Street (a bed and breakfast today owned by a family member) and was a collector and photographer. This book was in his private collection.